Happy Friday! Finally I feel 100% like myself again! Wednesday was the turn around day and actually a pretty stellar day all around regardless. I had the house to myself, so after my first real strength workout in a week, I set up my “work station-base” in the kitchen, found some good 70s station on Spotify, spent the morning reading blogs and drinking coffee, and then continued to jam out to 70s music while creating a new awesome recipe that became part of an awesome dinner I made for the family. Gotta say, it was so needed and so welcome. I’m now looking forward to a GOOD weekend. I hope your week was awesome, or at least had some great high points! This Sunday is Father’s Day, so of course I had to give a shot-out to my dad and all the other dads out there! Grill up something good and make the big man proud! Maybe some fancy chicken burgers, some grilled plantains, beet fries, or spicy sweet potato fries, and homemade BBQ sauce or ketchup! The truth about really finding purpose! Such a strong young woman! Are you your own roadblock? We won’t always get what we’re expecting. If you want to cry. This is so true! Really! These are so wonderful! Great read! The girls just made exercising at home that much easier! If you’re awesome and take the time to roll, do it right! Your gut health is so important! Haha! Isn’t this so accurate!? Love number 7! That’s what I always tell people to do! Think it took us long enough? + Why Don’t We Take Chronic Pain Seriously? My word, this is so sadly the biggest truth. + Can Reading Make You Happier? Reading as therapy? I think so! It’s always on my mind…some aspect of it at least! Who are you with? I’m with Hostgater and have no complaints! + What Makes You Want To Quit Blogging? Do you work for yourself? + Can Your Site Survive With Fewer Blog Posts? I hope everyone can have a little Summer fun! Chocolate Earl Grey Shake. Sounds like such an awesome combo! 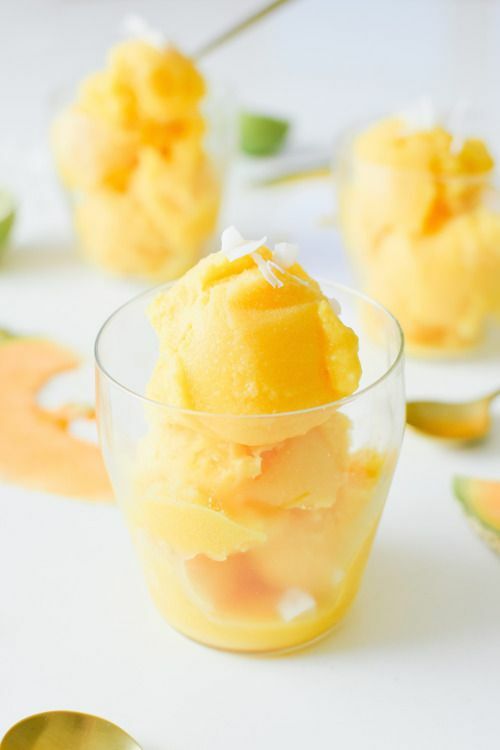 Cantaloupe Coconut Lime Sorbet. This just sounds so beyond cool and refreshing! Thai Chickpea Veggie Pizza. I’d say Friday night pizza is going to happen! Spicy Roasted Chickpeas with Lemon Tahini Dressing. 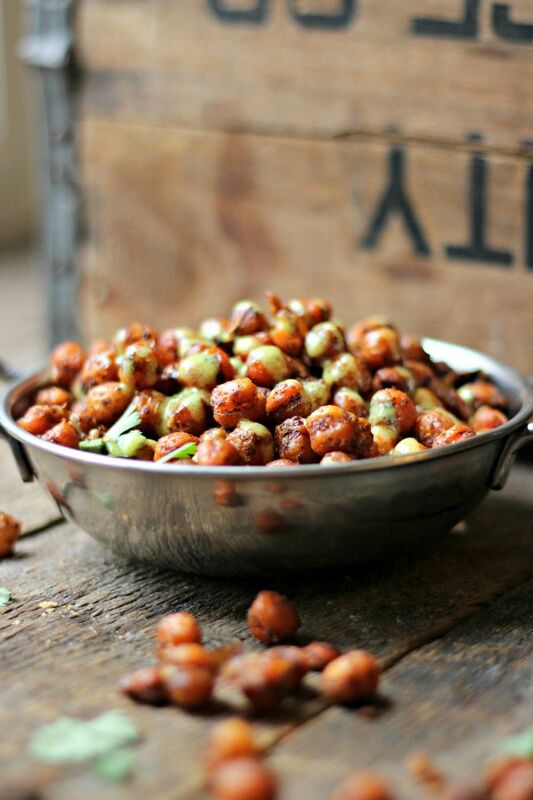 Roasted chickpeas just got a whole lot better! 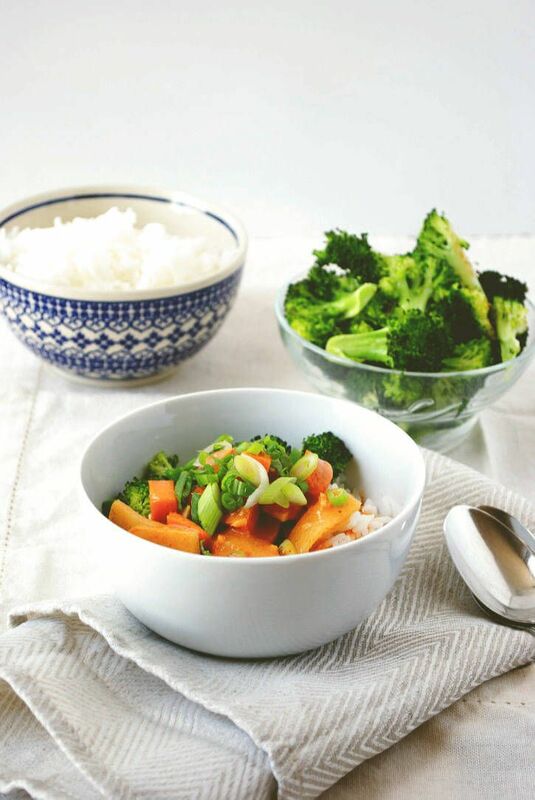 Thai Red Curry Bowl. I guess I’m having a Thai-craving week! This looks so good! 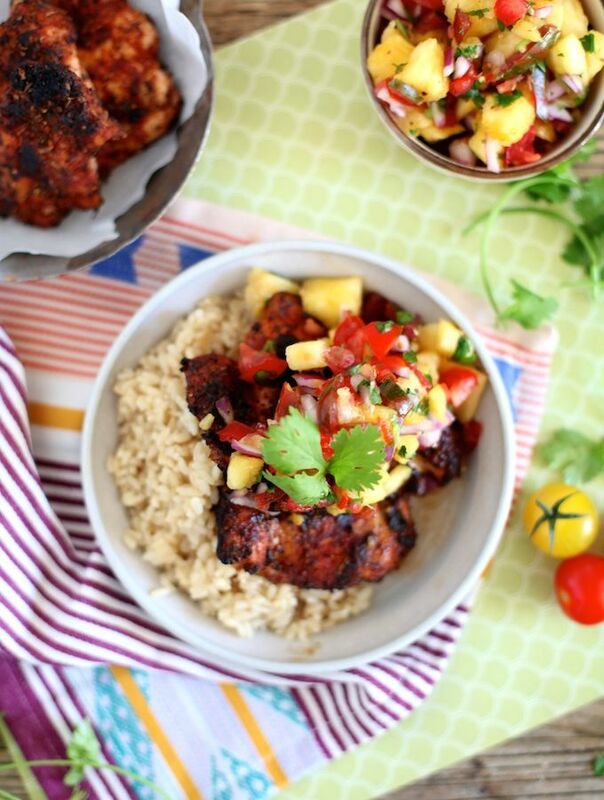 Spice Rubbed BBQ Chicken & Pineapple Salsa Rice Plate. I could eat this meal every day! 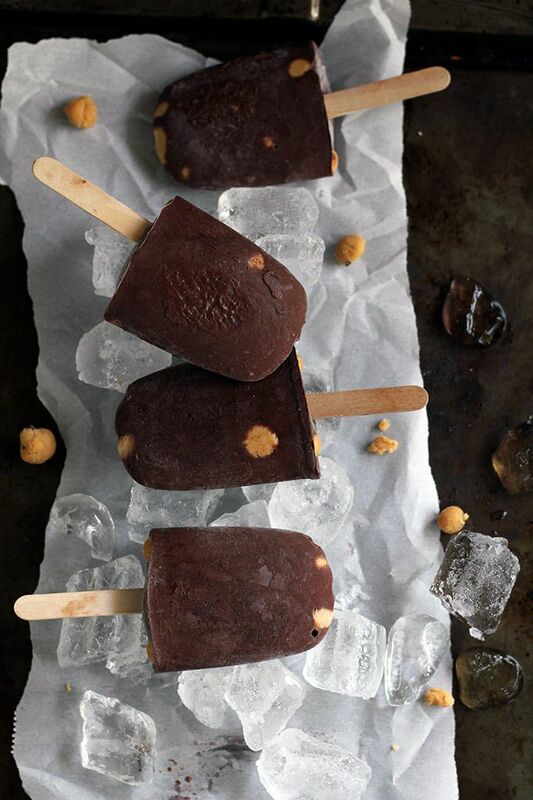 Peanut Butter Cookie Dough Fudgesicles. Look at hat that cookie dough is made of! Can you say yum? 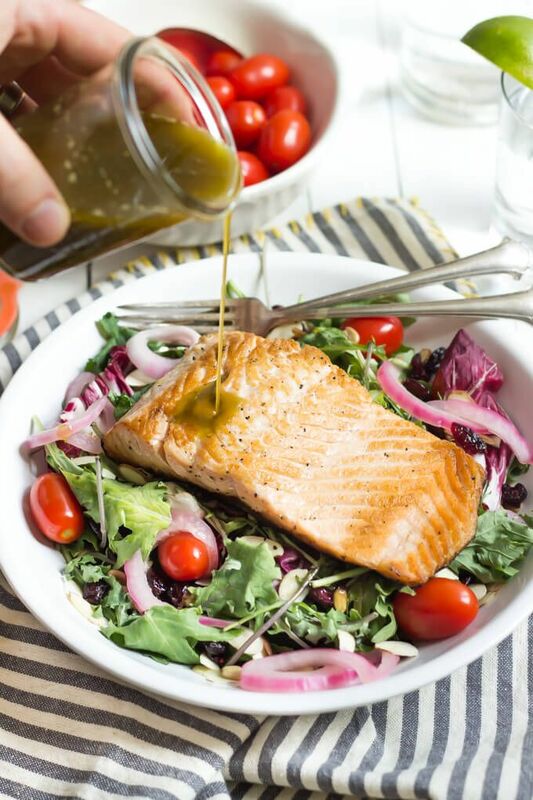 Summer Salmon Salad with Basil Vinaigrette. Okay, I could also eat this meal every day too! Why is good salmon so damn expensive still! It’s supposed to be in season right now! + Cherries! Finally, I got my hands on some cherries that were on sale <3 Summer goodness! + Regaining my health (and appetite!) I am even able to drink tea again. Seriously, tea was even making me nauseated! I hadn’t drunk it for days…just the thought killed me! Ugh! + I finished my first book of the summer (yea…slow) and started on the next! Kill Fee! I love Own Laukkanen! + And of course, I’m grateful for my daddy! + Are you planning anything special for Father’s Day? Thank you so much for linking up to Merry Monday this week! I am sharing your post today on my twitter! We hope to see you next week for another great party! Have a great week! I love the dating yourself article! Thanks for the awesomeness! Hey thanks for including our recipe! (the curry dish) Looks like you put together an amazing list! Thanks for sharing! It looks like a beautiful dish! Thanks dear! I’m so glad too! 70s music rocks! Always makes me smile! Thanks for including my post! Some delicious looking food on here. Thank you. Good gut bacteria for life! Thanks for the link up! It’s always exciting to see one of my one pictures when I’m scrolling through these posts! I’m all for blasting music and dancing around while baking and photographing, it’s one of my favourite things to do! Don’t we all crank up the tunes, clean and dance around?! 🙂 My dad is sunning in Mexico! Thank you so much for featuring me! I’m so honored!! 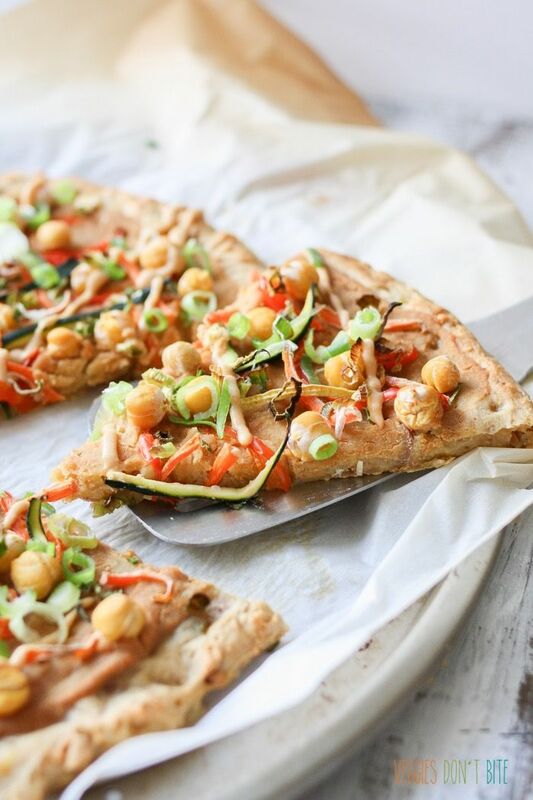 I’m loving this Thai Chickpea and Veggie Pizza recipe. I think it will bring my Sunday night homemade pizzas to the next level. Thanks for sharing! Hope you have a great weekend! So many great links in here!! Love these round up type posts since it provides tons of good articles to read :). Thanks so much for including mine! They kinda are the best fun posts! Don’t they? I think we all need to make them ASAP this summer! We’re having a picnic and a hike with my dad on Sunday. It will be good to get outside! That sounds lovely! Sunday isn’t looking so good here….the weather has been super rainy this week! Lots of great links (although I really hope people are NOT convinced that gluten-sensitivity isn’t real from reading that article! 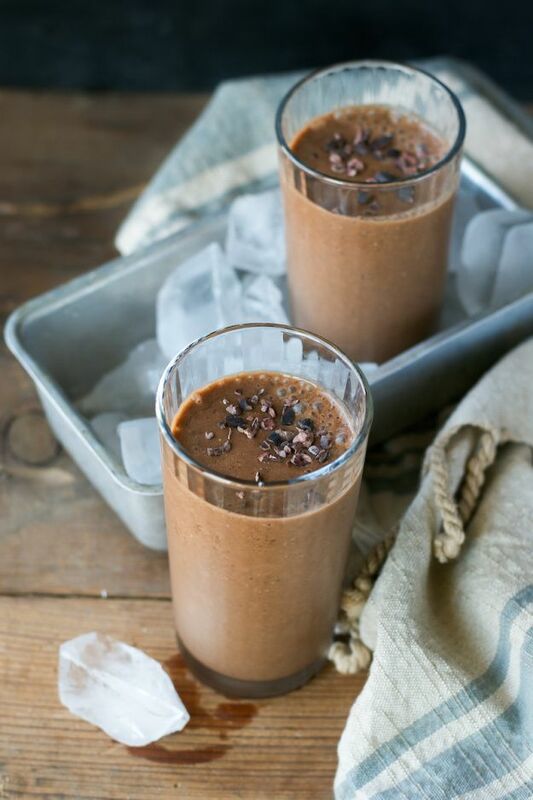 ), and that Earl Grey Chocolate Smoothie looks amazing. I will be at my son’s first All-Star Baseball Game on Father’s Day, then hopefully going out for a family lunch w/ my hubby, dad, and hubby’s dad after the game 🙂 Yay to cherries and 70’s music!! I don’t like smoothies, but that one just sounds amazing! Seventies music, eeh? I’m intriguiged. Trying it today! The 70s (nothing disco though) was the best music era! Hahaha I am definitely obsessed with my blog…I think I pretty much qualify for all 6 signs 😀 Oh well, there are worse things to be obsessed with. I’m feeling like a bad daughter for father’s day actually, this is the first father’s day I won’t even be home with my dad, but summer school, what can you do 🙁 I’m so glad you’re feeling better!! There are worst things 😉 Blogging has it perks…and faults! I won’t see my dad either :/ Hopefully you can Skype him! ….or send him muffins!!! Awesome list! I ordered a fitness tracker for my dad yesterday as he is in another state, but we’ll still be talking over the phone this weekend! Also, I do the exact same thing with the loud music. Haha! Well have a lovely weekend then! You should Skype him! I could eat the salmon salad every day too. It’s my favorite! My parents are coming to visit this weekend and we are going to a family picnic on Father’ Day. Looking forward to it 🙂 Happy weekend!